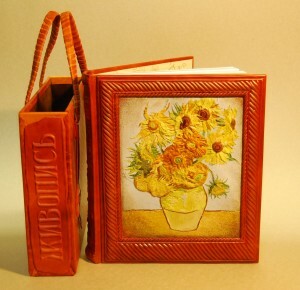 Binding of the encyclopedia “Painting”. Size 22х27 сm. 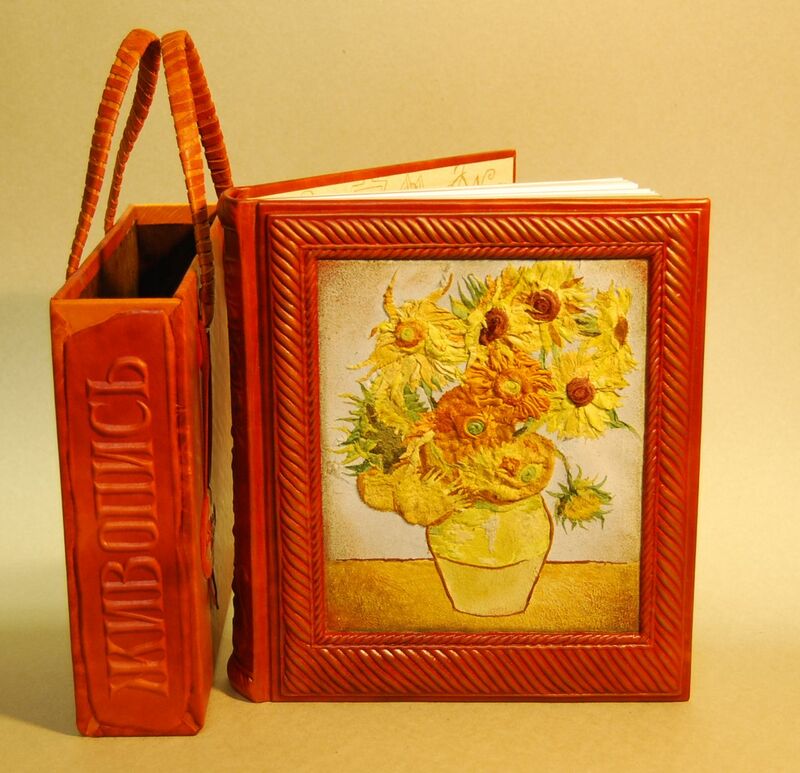 Bas-relief stamping, leather applique (O. Yakubovskaya) .